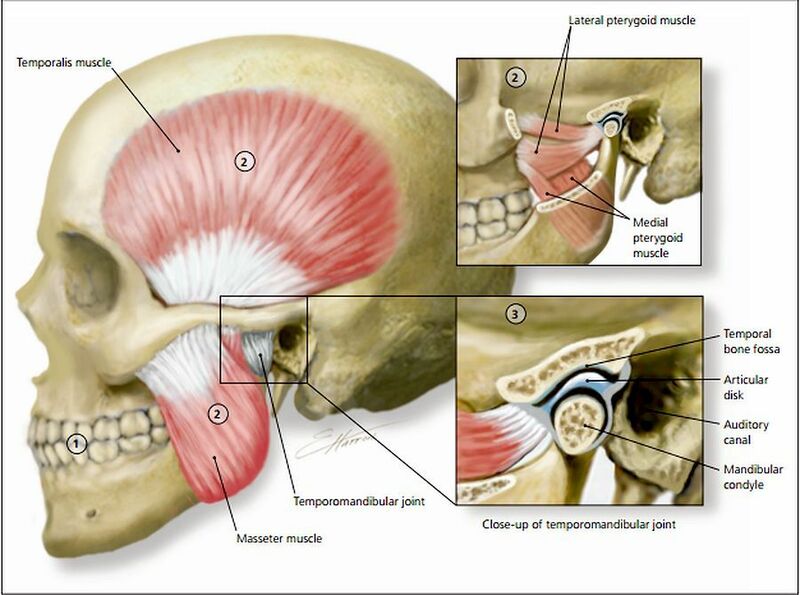 Temporomandibular disorders (TMD) are a heterogeneous group of musculoskeletal and neuromuscular conditions involving the temporomandibular joint complex, and surrounding musculature and osseous components. 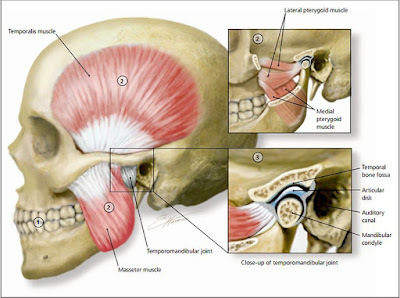 TMD affects up to 15% of adults, with a peak incidence at 20 to 40 years of age. TMD is classified as intra-articular or extraarticular. Common symptoms include jaw pain or dysfunction, earache, headache, and facial pain. The etiology of TMD is multifactorial and includes biologic, environmental, social, emotional, and cognitive triggers. Diagnosis is most often based on history and physical examination. Diagnostic imaging may be beneficial when malocclusion or intra-articular abnormalities are suspected. Most patients improve with a combination of noninvasive therapies, including patient education, self-care, cognitive behavior therapy, pharmacotherapy, physical therapy, and occlusal devices. Nonsteroidal anti-inflammatory drugs and muscle relaxants are recommended initially, and benzodiazepines or antidepressants may be added for chronic cases. Referral to an oral and maxillofacial surgeon is indicated for refractory cases. Am Fam Physician. 2015;91(6):378-386. Copyright © 2015 American Academy of Family Physicians.